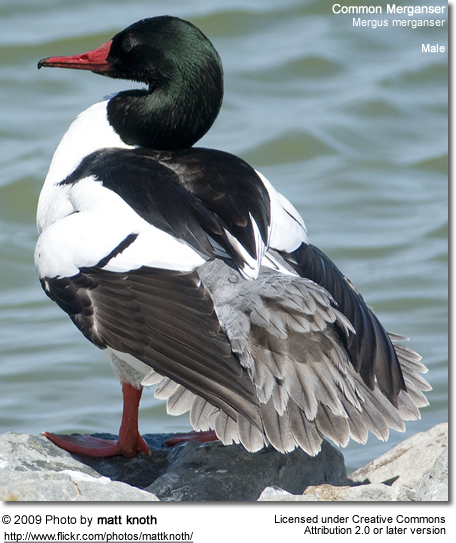 The Common Merganser, (Goosander in Europe), Mergus merganser, is a large sized duck, that - along with the Smew and the Hooded Merganser - is also known as "sawbill" - so named because of the serrated edges to their bills to help them grip their slippery prey. They range extends across Europe, North Asia and North America. Those occurring in North American migrate south in small groups to the United States wherever ice free conditions exist, where they typically settle on ponds, lakes and rivers. Those found on the west coast may remain year-round. 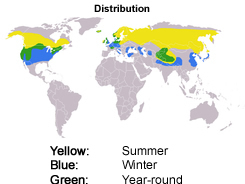 Scandinavian and Russian birds also migrate southwards. 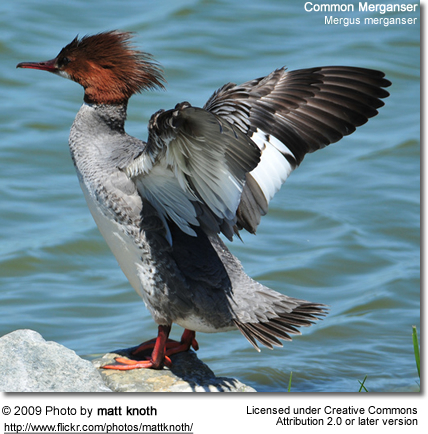 The Common Merganser measures about 70 cm in length and has a wingspan of 78 - 94 cm. 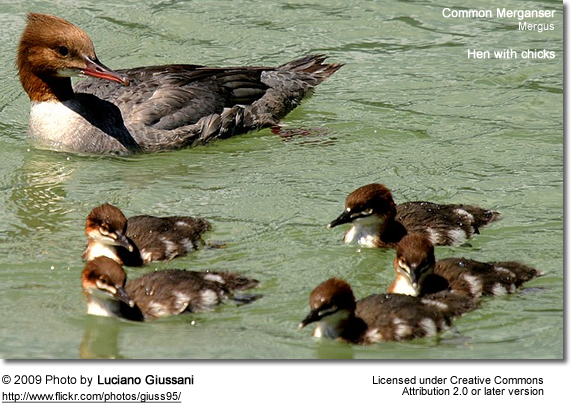 The male has a dark green head, while the female's is reddish-brown. 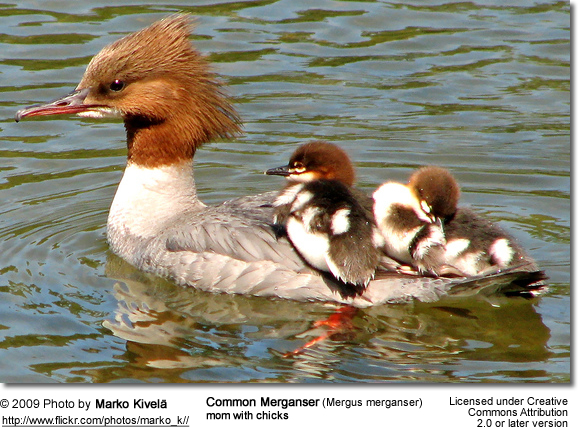 Common Mergansers typically nest in tree cavities, but may also accept nestboxes. These large fish-eaters have serrated edges to their bills to help them grip their prey. 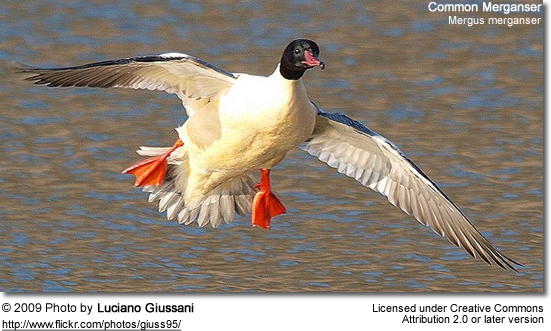 They also eat mussels and shrimps; young birds mainly eat aquatic insects.